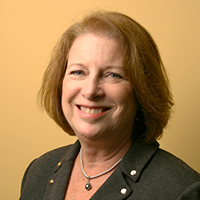 Linda D. Sharkey, Ph.D. is an HR Executive and Business Strategist with experience coaching and developing leaders and teams in Fortune 10 companies. She drives talent development initiatives that support productivity and company growth. She is a founding member of the Marshall Goldsmith Group focused on helping successful executives become even more successful. She is widely published in the area of leadership development, culture change and executive coaching. She is a frequent keynote speaker at company events. Sharkey holds a Ph.D. in Organization Development from Benedictine University.